Importance of dressing right in an interview cannot be overlooked. As they say’ First impression is the last impression. 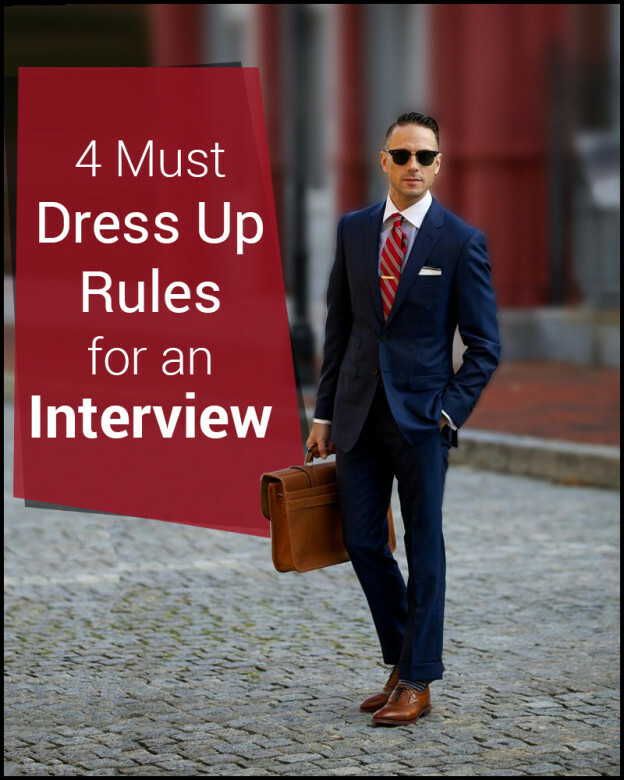 This hold particularly true in the corporate sector, So before you appear in your next interview you must go through these quick tips and carry your outfit confidently. The Suit: when it comes to buy yourself a suit especially for an interview, go for the single breasted suit with a two-button option. Not only it is a classy and versatile choice but you can also wear after an interview if it goes well. Avoid wearing black suits because these come across as severe rather you can settle for a navy blue suit. The Shirt & Tie: a bright green tie and a pink shirt might be a bit ODD for a job interview. Keep it simple because you want the interviewer to focus on your answers, not the luminous combination you're sporting. Don't go wrong with a white shirt with a spread collar in an interview teamed with a burgundy tie. The Shoes: much like the combination of shirt and a tie, an interview is not the perfect occasion for you to wear a pair of loafers. These will look great on Saturday night but they will blow down if you sport them to an interview. Less is best so consider a polished par of brown suede shoes or black oxfords. But if you are short in height and looking for best height increasing shoes in India then Altolia won't disappoint you as they have a numerous collection of height increasing shoes to choose from. Don't neglect your grooming: even if you are dressed up perfectly with a slick new suit and a polished pair of shoes, it is very essential that your grooming is on top list. Dirty finger nails, unkempt beards, bad breath and messy hair are sure-fire ways to reduce your chances of getting through the job interview so its better that you ensure them before going. Cut your nails, have a shave, get a decent haircut and always keep a packet of chewing gum in your pocket. A final word: Swallow all the above key points and you will definitely rock your interview.